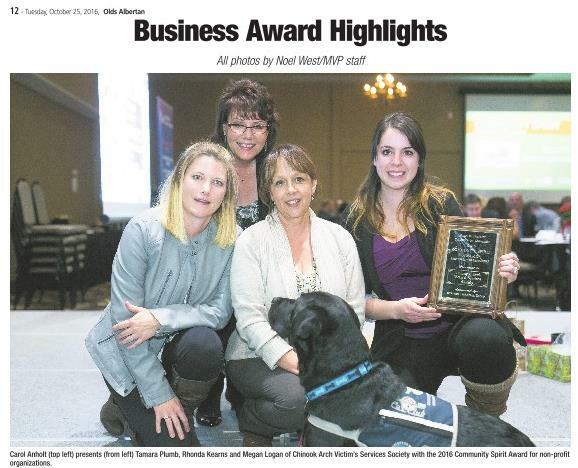 CAVSS was presented with the 2016 Community Spirit for Non-Profit on Thursday night at the Olds Chamber Banquet. Thank you to everyone who has supported us over the years. We are honored to receive such an award and be part of this great community.